A data breach has become a large growing concern for many executives; whether the breach is due to a hacker, to the wrong people handling the information, or just a loss of documentation. This growing concern is for good reason, the chances of a data breach and the cost of a data breach have increased year over year. According to research, the average total cost of a data breach for companies has increased 23% over the past two years to $3.79 million. The cost of a data breach is not an easy thing to estimate. It takes a business an average of 256 days to identify a malicious attack, while data breaches caused by human error take an average of 158 days to identify. After finding the breach there are all kinds of fees, varying on the breach and the time that has passed between detection. Direct cost – the direct expense to accomplish a given activity. Indirect cost – the amount of time, effort and other organizational resources spent. Turnover of existing customers: The estimated number of customers who will most likely terminate their relationship as a result of the breach incident. The incremental loss is abnormal turnover attributable to the breach incident. Diminished customer acquisition: The estimated number of target customers who will not have a relationship with the organization as a consequence of the breach. Cyber-attacks have increased in frequency and in the cost to correct the consequences. 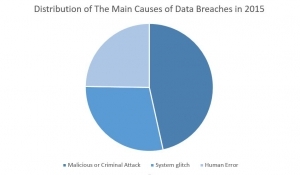 Data breach costs associated with detection and escalation has increased. 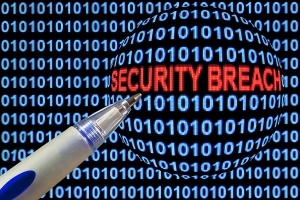 The consequences of lost business are having a greater impact on the cost of data breach. Lost business has potentially the most severe financial consequences for an organization. The cost increased from a total average cost of $1.33 million last year to $1.57 million in 2015. This cost component includes the abnormal turnover of customers, increased customer acquisition activities, reputation losses and diminished goodwill. The growing awareness of identity theft and consumers’ concerns about the security of their personal data following a breach has contributed to the increase in lost business. A recent study shows that 85% of a store’s customers will refuse to shop at a company after a data breach, confirming that clients do penalize businesses more than a government regulator could ever do. When people hear “data breach” they often visualize computers, hackers, and online threats. However, a data breach can happen in many shapes, sizes, and forms. One of the largest causes of a data breach is lost, stolen, or improperly disposed of documents. Our goal is to give you advice to help minimize the risk of hard copy files, documents and records compromising your business. Having a document management plan that details the process of documents from creation to destruction is one of the best ways to combat hard copy data breaches. 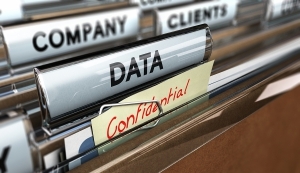 Shredding confidential documents is one of the best ways you can protect your business and self from a data breach. 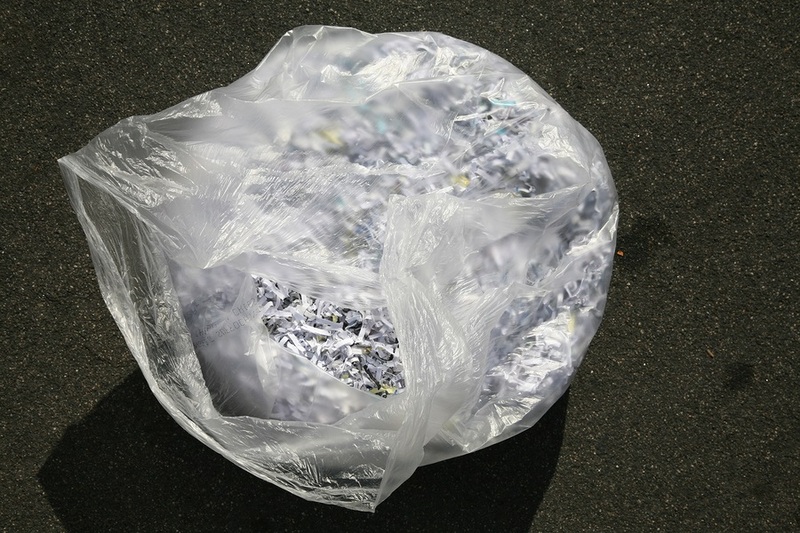 There are several options to consider when creating a document disposal plan. Mobile shredding or offsite shredding are the two best options when considering a shredding plan that can handle large volumes of shredding. Learn more about mobile and offisite shredding below. Mobile Shredding makes it very easy to witness the shredding of your documents. With a TV monitor located outside of the mobile shredding truck, you are able to observe all of your documents being securely destroyed. Offsite shredding is similar to mobile shredding in the fact that you collect your documents in a locked bin at your office. Once the bin is full a contractor comes to your location and picks up the bins. The bins are then transported to a secure shredding facility and destroyed. The bins remain locked the whole time and the contractor never comes into contact with your documents. Since the documents are not shredded on-site, the cost is usually less expensive than mobile shredding. However, some laws and industries require that you personally witness the shredding of your confidential documents. Within minutes of receiving your request, you will receive quotes from shredding contractors in your area so that you can select the company that fits your project or your office best.